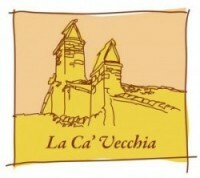 La Ca’ Vecchia periodically organizes seasonal lunches and dinners, with a fixed menu: for example, in November, a dinner is dedicated to the pork; in Autumn, a lunch is dedicated to Porcini mushrooms. These annual events are dedicated to specific dishes and ingredients, and sometimes during these occasions we also host live music. Reservation at +39 320 0699101… looking forward to see you!